With Sonus faber loudspeakers, it’s all about music and relationships. To become a Sonus faber owner is to bypass the bloodless pursuit of the technical and become immersed in the emotional pleasures of music. To be a Sonus faber reseller is a pleasure and a privilege – for us at Totally Wired, Sonus faber embody all the good qualities of audio which bought us to the business in the first instance. We choose to own the Cremona Auditor M for our home loudspeakers. Recent changes with Sonus Faber have reinvigorated this legendary brand but the essentials remain - the ultimate in Italian hand built quality and the ability to organically connect with any musical style that makes everything else sound mechanical. Pure Audio is aptly named. The collaboration of Gary Morrison and Ross Stevens now produce a simple range of three perfectly formed audio amplifiers – a control (pre) amplifier, matching Class A mono power amplifiers and an exceptional phono stage. These are the finest audio products to come out of New Zealand. Which is what we would expect from the most experienced and talented designers when they have been freed to produce the components they always wanted to. Packed full of original ideas and unique solutions, these amplifiers are both distinctive and competitive with the very best designs worldwide, regardless of cost. NuForce is our kind of company. Based in California and devoted to the development of exceptionally fine consumer–electronic products, they have blown the hifi game open with their new Icon series. Small, power efficient, digital savvy and almost unbelievably affordable. From a stereo amplifier to a highly specified digital preamp the NuForce products are the most exciting prospect we have heard when it comes to delivering great sound to more people. There is no better place to start. ...and Frank turned around and said to me ‘John, sell your Linn’. The new Well Tempered Amadeus turntable is here. You might be surprised that as long-time Linn owners and dealers, we’re enthused about this new turntable, especially because it is so radically different in design from the Linn. But what makes it different is what makes it better. While we love our iPod, it's still analogue that defines sound quality for us and nothing has made the impact on us in the analogue world that Well Tempered has. The new Simplex and string of improvements to the Amadeus have further cemented the Well Tempered reputation for both the finest sound quality, innovation and value. Combined with Dynavector cartridges and P75M2 phono stage, you'll find no better sound. Meridian. You may be surprised to learn how far back our association with Meridian Audio goes – and we have never forgotten how they have always embraced technology that other companies have shied away from and then belatedly adopted – active speakers that have the amplifiers built in, switched mode power supplies, state of the art CD players speakers that are uniquely and truly digital. With the introduction of the Director – a high-quality DAC (Digital to Analogue Converter) designed to deliver superior audio performance from digital sources such as media players, CD players and computers, Meridian have delivered a product we can all enjoy. PrimaLuna is a no-compromise type of company. So their amplifiers are built to the highest standard possible but they are not interested in matching others in terms of features or power ratings. Don't take this the wrong way, but if you are going to buy an amplifier on the basis of a high power rating, you are selling yourself short. There is a whole lot more to music than making your ears ring and we would go so far as to suggest that there is a strong negative correlation between high rated power and actual musical quality. 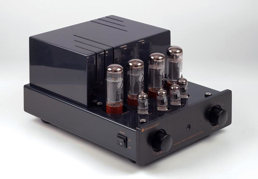 Once you hear how a 35 watt tube amplifier can fill a room, we are sure you'll understand. As an example, the PrimaLuna Classic Integrated amplifier is really a very simple proposition – 35 watts, 4 line inputs and provision for one pair of speakers. That's it. No remote, no extra connections, no DACs or USB, no surround sound etc etc. It stands or falls on just one thing - sound quality. To get real sound quality, you have to build a product very well and this has a real benefit to you in reliability. PrimaLuna amps are beautifully made, with premium components and will last a lifetime. You get this because they are simple - not festooned with features. Quad. Over 70 years of continuous design and production of some of the most revolutionary, reliable and best sounding high fidelity components in the world stands as a unique qualification. Quad still stand as a unique company. Their new Electrostatic panel loudspeakers are one of the finest speakers made at any price. The new Elite series electronics combine both high performance and value in a sleek modern package. And modern versions of the original classic tube designs introduce a new generation to the heritage. British company Monitor Audio. The right loudspeakers can really make your system shine. They are the biggest part of your system in terms of visibility, and given the build quality of modern loudspeakers, they are highly likely to be resident in your room for many years to come. Which makes it all the more important to have something that sounds as good as it looks and visa versa. It's time for a fresh look at Monitor Audio - you'll be surprised, not just by the performance, but also by the affordability, the number of options and quality of finish. Wouldn't you love a Tivoli Radio for christmas? Tivoli's make great gifts but why wait - if you check out our big Tivoli section you'll find everything you ned to know about all the different models, easy ordering information, galleries and for those interested a little more about these great little radios, historical info on Henry Kloss and Tivoli Audio. Totally Wired is New Zealand's best Tivoli dealership - we carry every available model and finish, know the range inside out and are avid Tivoli listeners at home. 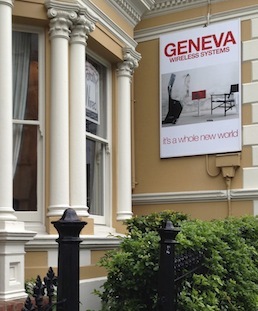 When you first see a Geneva system it is easy to get the impression that there is just one speaker behind the cover. But there is rather more going on - two very high quality drivers mounted in a substantial ported faceplate. Behind that lurk two extremely efficient Class D amplifiers with a very generous 30 watts - which starts to explain why the little Geneva has such a big sound. Geneva Sound Systems provide everything you find in conventional stereo. They project a striking stereo image with their patented technology. No matter where the listener is in the room the Geneva system projects a solid three-dimensional sound image that is high, wide and deep. Shamelessly appropriating the best ideas of other turntable designers and applying them with unparalleled rat cunning, Pro-ject redefine the entry level turntable with the new Debut Carbon which has a larger 12 inch steel platter, improved motor suspension and a carbon fibre tonearm. The latest Xpression III, the popular model with our customers, is a remarkable feat of both value for money engineering and the shameless appropriation of cool bits of technology. We know from our own experience that the new KLEI cables easily better the finest cables we have previously listened to and sold. That they do it at completely fair prices makes the choice very simple. The original Bullet Plug was Keith’s first product and easily the most successful. A wonderful and deceptively simple product it might be but that doesn’t mean it can't be improved upon. KL has spent the last 15 years working on this and the result is a range of 4 new Interconnect cables, featuring the new plugs. As soon as you listen we’re sure you’ll be as excited by what you hear as we are. All about Kimber cables. It’s the braiding that makes it work. The idea is so simple but so effective - by braiding cable you screen out RFI (Radio Frequency Interference) and greatly reduce the interaction of the positive and negative conductors because they effectively cross each other at right angles rather than running in parallel for the length of the cable. This elegant thinking is at the heart of Kimber cable. But it’s only the start of the story. Ray Kimber is a bit of a brain. Actually he’s one of the most quietly spoken yet obviously and seriously intelligent people you are ever likely to meet. He’s explained the finer points of cable design to me in a way that made complete sense at the time. We use Kimber for many demonstrations in the shop - it’s the ideal partner for high value products and does a brilliant job. Kimber have some great value for money speaker cables and interconnects. Simply put, they sound better than anything else we can find in their price range, are well constructed and pliant with good plugs and work in pretty much any system. Cambridge Audio have recently evolved into a strong player in specific niches - their latest universal disc player – the 752 deservedly rakes in the plaudits and their approach to digital with the ID100 dock and DACmagic sets the standard for value for money performance in the world of no-compromise iPod replay. The first thing you should understand about Rotel is that they are truly a specialist hi-fi company. They are a 40 year old, family owned organisation dedicated to the design and manufacture of the finest in affordable, high performance home theatre and high fidelity components. They stand or fall on the quality of their components and systems. So when we say specialist we mean specialist. The key difference from other specialists is that Rotel make a serious effort to provide entry level products that are affordable to even the struggling enthusiast. With the new 12 series Rotel yet again set a new benchmark for affordable 'high end' HiFi. Two things make the HRT Music Streamer special – its high performance and its low cost. While these are claims you will have heard before, seldom have we seen so many column inches devoted such diminutive and affordable products. Reviewer Steven Stone called the Music Streamer "The biggest bargain I've heard in a long time... Try it and prepare to be amazed". In the Music Streamer + review Steven wrote "I was floored by how good it sounded. No, not good, stunning." "One area where the MS2 easily surpasses the previous model is in the bass. There’s an incredible precision and focus to bass sounds...it was easy to hear the differences in bass guitar tone between the Wrecking Crew musicians, McCartney’s Rickenbacker on a Beatles track, and that Peter, Paul and Mary’s Leaving On A Jet Plane has both an electric bass and an upright underpinning the song. Excellent stuff!" Mike Jones, Audioenz. Slinkylinks An interlink and speaker cable of exceptional sound quality with broad compatibility. Hand made in New Zealand, with the best materials, ingenuity and care. Bottom line – we’ve never heard anything that offers such an improvement for so little. Many of our clients have finely tuned systems that have resolving power than most reviewers struggle to find. Essentially, if someone takes the time and some care with set up, the end results are almost always impressive. And consequently any small subsequent changes made within the system are clearly signalled. It is precisely this kind of person who will most appreciate what Slinkylinks can do – in the case of our own reference system at home, we’ve migrated to all silver terminations (Eichmann Bullet and Bayonet plugs) on every cable and this has more than rekindled our passion for analogue. Ortofon has always been a company working with sound reproduction. It was founded in 1918 in Copenhagen and started up making soundtracks for movies. In 1948 the company developed its first moving coil cartridge, since then Ortofon has developed and manufactured more than 300 different cartridges. Today Ortofon is the world leader in cartridges. This is a result of significant design experience and great technological know-how. There will be 3 areas of interest for any analogue enthusiast - the entry level OM series cartridges and styli, the new 2M series of Moving Magnet cartridges, and the ever broadening range of Moving Coil cartridges, from entry level options to true state of the art. ETI design a range of innovative sound enhancing products in Australia for music and cinema enthusiasts around the world. At Totally Wired we have found the Eichmann products offer exciting and obviously audible improvements with any worthwhile system. You can choose individual Eichmann products or by combining the elements, progressively experience the cumulative improvement of taming both electrical and mechanical resonance. The AC power leads and standard setting Bullet Plugs are particular favorites. Grado are famous for their remarkable headphone and phono cartridge designs. Company founder, Joseph Grado is credited as the inventor of the stereo moving coil phono cartridge. He is responsible for more innovations in phono cartridge design than any other person in our lifetime and was inducted into the Audio Hall of Fame in 1982. John Grado has risen from sweeping the floors of the factory as a twelve year old, to President and Owner of Grado Laboratories. Following on from Joseph Grado‘s acclaimed designs, John has led the development of the Prestige Series and Reference Series of headphones and phono cartridges. We carry much of the Grado Prestige headphone range in stock and as it#&8217;s said 'hearing is believing'. Audio Analogue first came to us as an accompainment to Sonus faber. Truly Italian and in both their design and hand built manufacture, the Audio Analogue amplifiers and CD players have become firm favorites in many settings. Each model has distinct character, but all share a richly musical thread. We've found no better amplifier to show off the capabilities of the NZ made Images. The lyrically entitled models offer a real surprise to all who listen to them and there is a certain irony in the fact that the parlous state of the Italian economy makes them far better value that any locally made amplifier.